However, in reality,,, only a few Japanese can immediately answer that "this year is Heisei 28!" The following is a flow of "Employment certification" issuance. 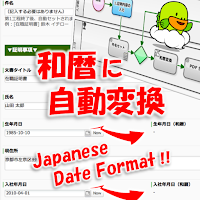 It has devised that at an upstream Step, the employee's 'name' and "birth date' are entered, and the a certificate PDF is automatically generated at [Auto-step] in the middle of the flow. 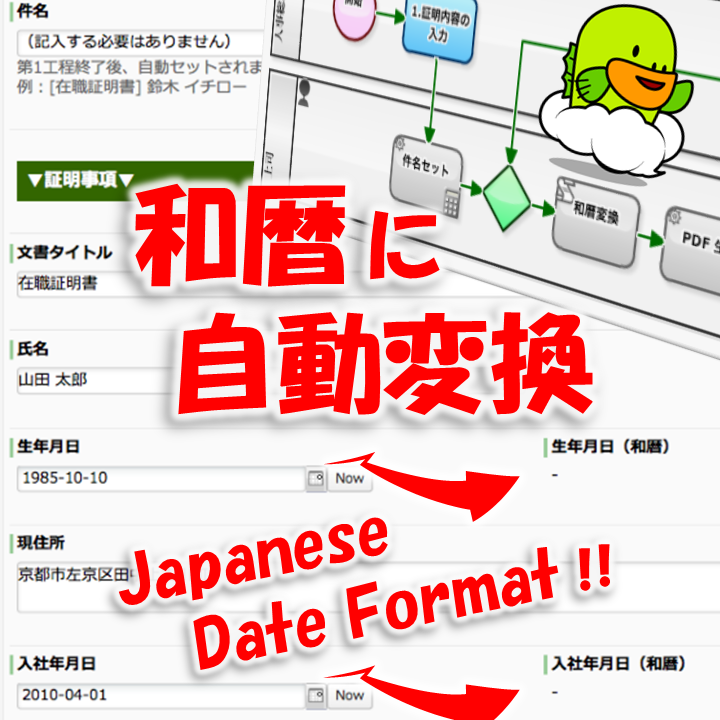 Notably, date data such as "date of birth" and "certificate issue date" is automatically converted to the Japanese calendar. It could be diverted also to issuance flow for, for example, "Graduation certificate" or "PTA News", etc. Episode 466: Approval of Travel Request is a Job of "Deputy Manager"
Whatever an organization chart could be, "a leader" is essential to its respective departments. Especially, the role of "leader" is important in determining "the Policy of department" and "the Goal of the department". 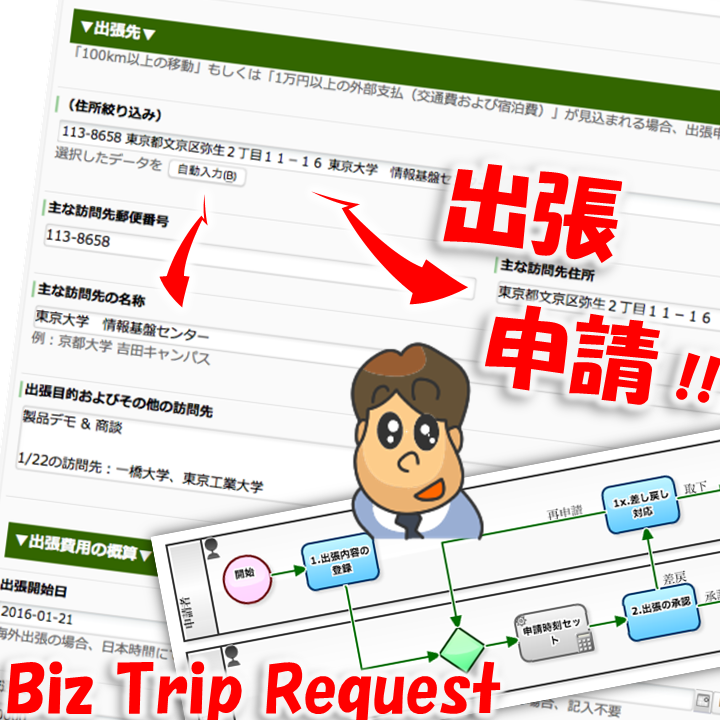 However, speaking about the day-to-day approval job, it is not necessary to be performed all by "one leader". 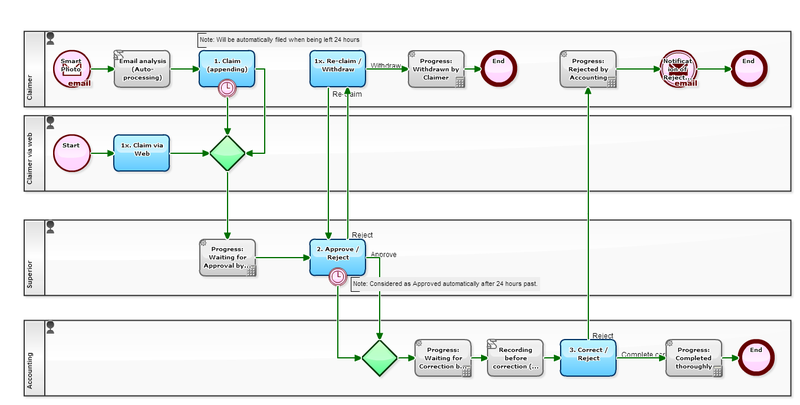 Episode 465: Attendance Management in Cloud-based Workflow! "We are trying to do all the work on Workflow. 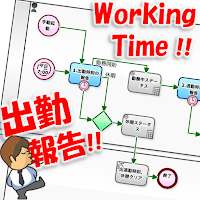 So please make Time and attendance reports also possible on Workflow!" 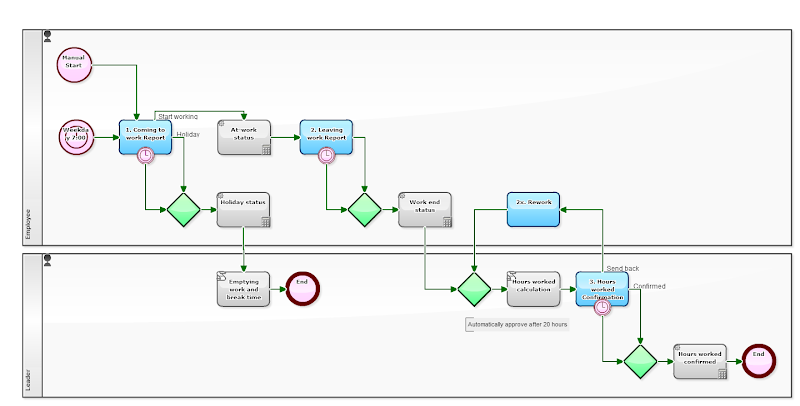 In this Workflow, a Task of "1. 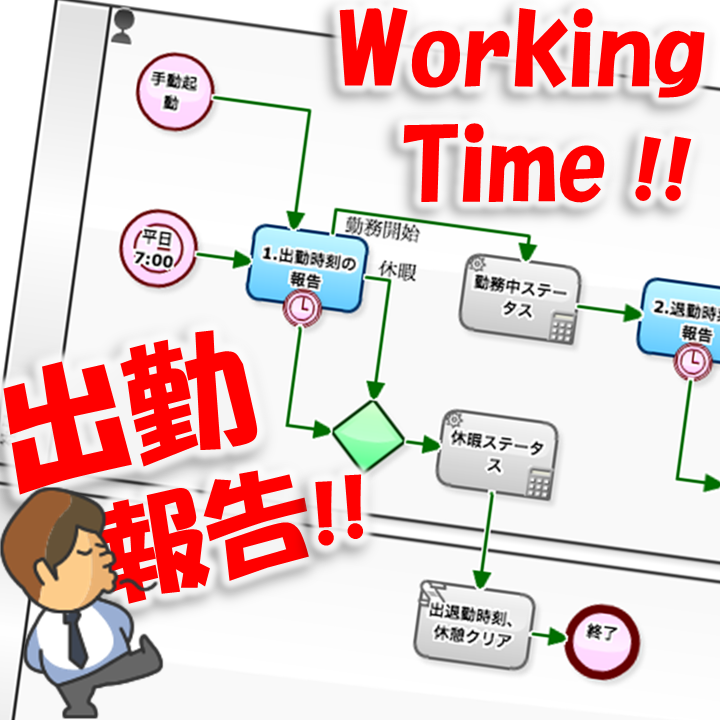 Coming to work Report" will be allocated as [My Task] to all the employees at 7 o'clock in the morning of every weekday. It might be rather a natural mechanism for a company in which a lot of "Teleworkers", "Remote workers" or "Outside sales people", etc. This time, it is going to be the 3rd of the series, "Out-of-pocket Expenses Claim" in simplicity. Despite Reimbursement claim for Out-of-pocket Expense is carried out collectively at the end of months in most companies, in this example, it must be done at each time payment occurs. 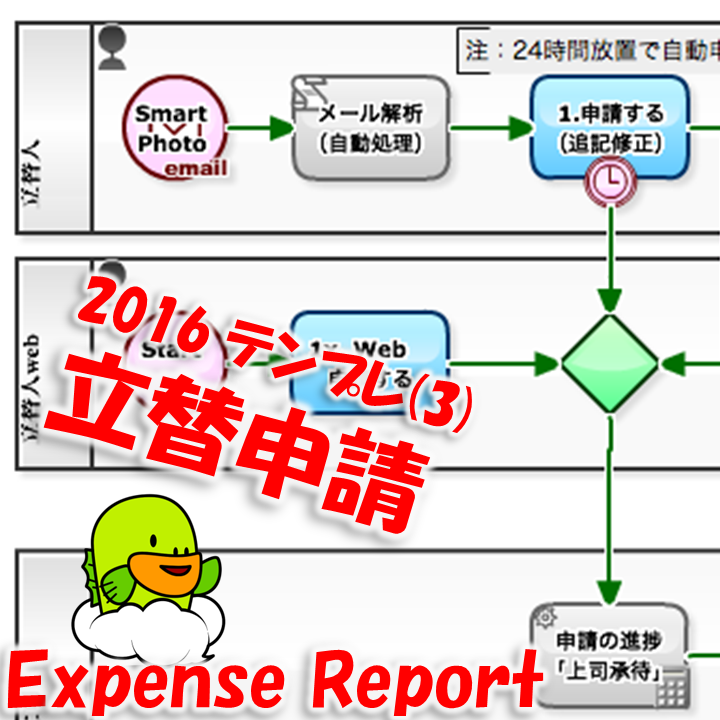 It is a focused to ease the management of the correspondence between the receipt image. 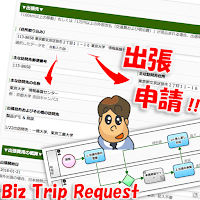 After all, it is a business flow to let an employee to make E-mail application at the moment of getting a receipt, such as taxi fare or dining bill. It should be noted, it must be sent from a company email address (Login ID] of the workflow). By the way, although it might needless to say again, this Workflow is a Business Process in anticipation of "Regulation change (around January 2017) that allowing to discard the original receipt replacing with the receipt image taken with smartphone".